Getting kids cleaning up their area, whether it’s school or home, is an essential skill to have. Kids can feel a sense of accomplishment when they take a messy area and turn it into a clean, organized environment. Below you will find some tips and ideas to get get kids not only willing to help, but excited to help clean. Tip Page...One person’s clutter is another person’s nightmare! No amont of nagging by parents or teachers can change disorderly kids-but when given a choice, children can be less messy and more organized. 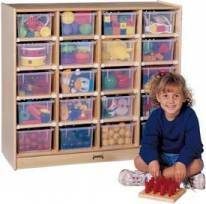 1.Design your program (classroom or home playroom) to make it easy for the kids to clean up! Use shelves, clear bins, color codes and tubs that are neat, labeled, and organized. 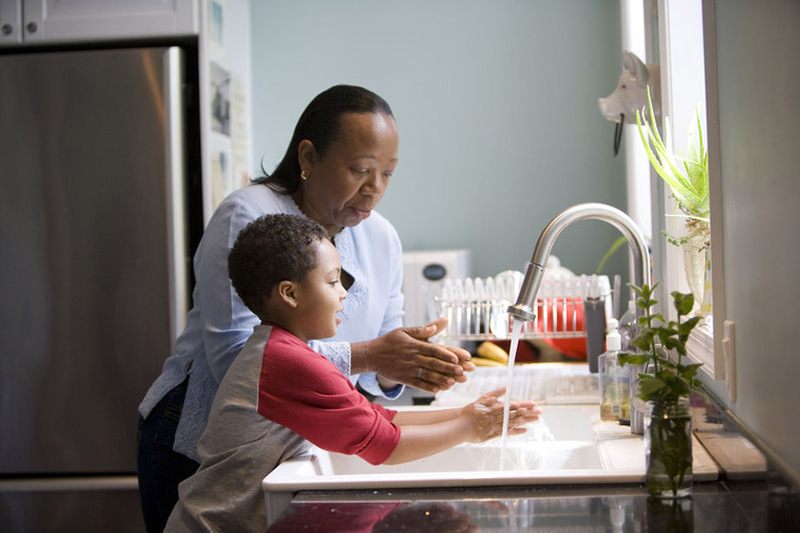 Keep clean-up simple by avoiding the messiest and hard-to-clean-up activities. It can, however, be a consequence of an action (such as a child getting too wild at the painting table). When possible, try to frame a task as a reward. IMPORTANT! Let children know how much time is left – give a warning at ten minutes and then at five minutes; give kids time to shift gears so they can reach closure. Example: If a child has been designing a structure with manipulatives, they need time to adjust and dismantle it. Giving kids this time shows you value and respect their efforts. Children often have a difficult time with transitions; try using this first attention-getting step. If you neglect this, and try to move straight from one activity to the next, you will be setting some children up for failure. Not all activities require the same amount of time to clean up. Begin things such as messy art and block areas before easy clean up is started. To keep routine and random program tasks from interrupting smooth transitions, put each child’s name on an index card or deck of cards. When a job or an errand comes up, pick the top card and ask that child to take care of it. After you’ve gone through the deck, shuffle it and start over. A “Job Squad”. A rotating chore chart can be very useful in fair job distributions. Each week children are assigned, or sign-up, for an organization responsibility. This can also include “checking” to see if it’s been done.